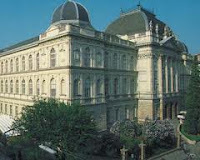 The International Space University is proud to announce that Graz University of Technology has been selected to host its 24th Space Studies program to be held in the summer of 2011 in Graz, Austria. The dates of SSP11 will be 11 July – 09 September 2011. The areas of strength of Graz University of Technology are combined in five interdisciplinary fields of expertise. These key fields make up the scientific fingerprint of the university at the heart of Europe on its journey to the international pinnacle. Excellent contacts with industry and business can be seen in numerous participations in scientific competence centres and research networks. Co-operations with scientific partner institutes act as a further dynamo to success. Scientists carry out research and development at the highest level in the seven faculties and their 100-plus institutes. All these factors relate to ISU’s international, interdisciplinary and intercultural credo. SSP11 applicants need to apply before the deadline of 31 January 2011 if they wish to be considered for scholarship support, and before 30 April 2011 if they are not in need of financial aid. However, it is recommended to apply as soon as possible. The ISU Funding Committee will begin to award scholarships as early as in December 2010. Applicants should mark the relevant box on the Confidential Financial Information form of the application. Submitted applications, if complete*, are assessed and funding is allocated depending on availability. The earlier a candidates applies, the greater their chances of obtaining funding through ISU. FundingThe International Space University is given funding from industry and government agencies to help support SSP students who are unable to cover all of their tuition fees. This aid is available to selected applicants, and covers a portion of their fees. It is paid directly to ISU by the sponsoring organization. SSP10 applicants need to apply online on the ISU website before 31 January 2011 if they wish to be considered for scholarship support, or before 30 April 2011 if they are not in need of financial aid. This financial aid will be given within the limit of funds available, so early application is highly recommended. The ISU Funding Committee will start granting scholarships as early as in December 2010. Please note that the relevant box on the Confidential Financial Information form of the application must be checked. It is recommended that candidates make a personal effort to raise funds enabling them to attend the program. Such initiatives are taken into consideration when ISU is allocates funding. Funding is given for help towards tuition fees only. ISU does not assist with living, travel expenses or health insurance. Demikianlah informasi ISUNET Master Scholarship of International Space, in Graz University of Technology Austria 2011/2012 kami sampaikan, semoga bermanfaat.